You haven’t tasted chickpeas until you’ve tried them roasted. Trust me, the delicious crunch is absolutely worth the time they spend in a hot oven. 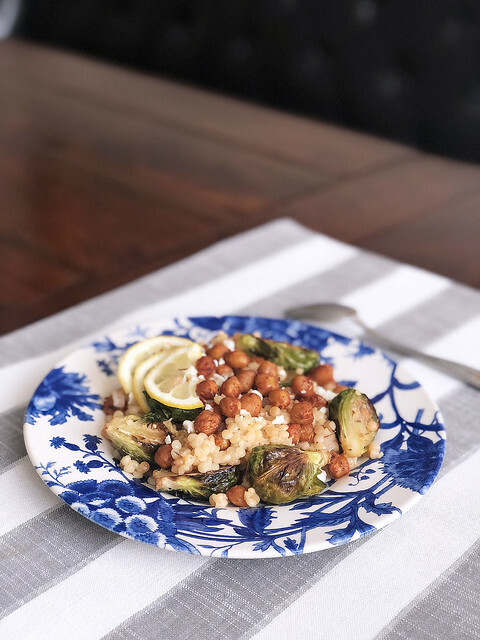 In this recipe, they’re tossed with bubbly Israeli couscous, roasted veggies, and smoked paprika for a mishmash of savory Mediterranean flavors. You likely won’t have leftovers, but if you do, they’ll taste even better the next day. Trim Brussel Sprouts and halve lengthwise. Toss Brussel Sprouts and a drizzle of olive oil, salt, pepper, and 1/2 thyme on one side of a baking sheet. Arrange so that all are facing cut-side down. 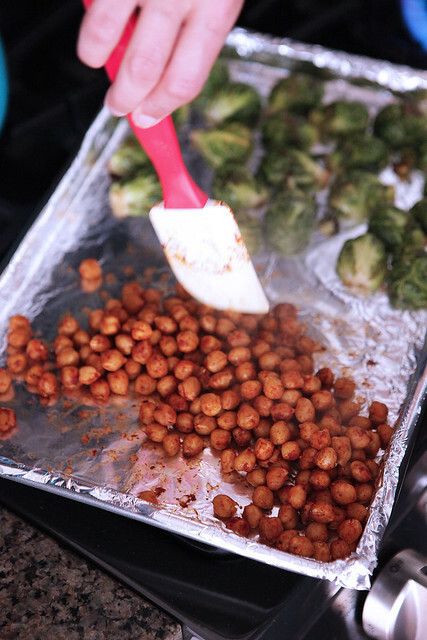 Toss chickpeas, smoked paprika, a drizzle of olive oil, and a pinch of salt ad pepper on the other side of sheet. 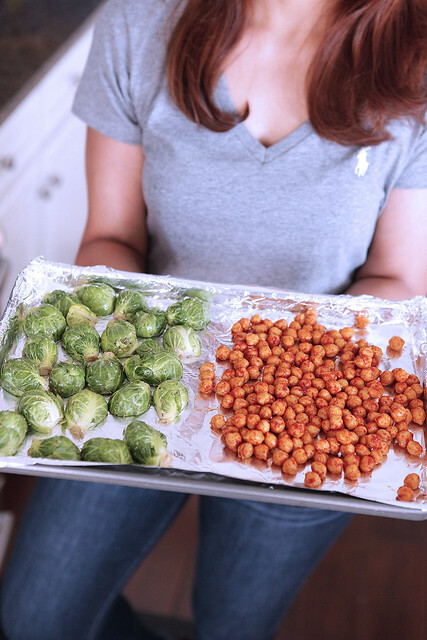 Roast Brussel sprouts and chickpeas in oven until crisp, about 20 minutes, toss halfway through. Halve lemon. Cut on half into wedges. Halve, peel and mince shallot. Mince garlic. Heat 1 tbsp butter, garlic, and shallot in a medium pot over medium high heat. Add couscous and stir to coat. Season with salt and pepper. 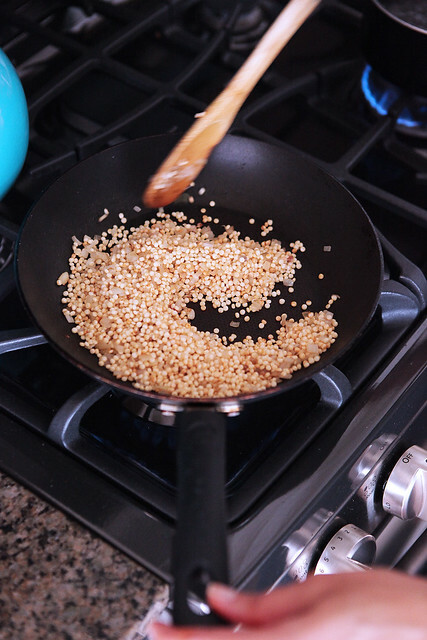 Cook, tossing, until couscous is toasted, 2-3 minutes. Stir in veggie stock concentrate and 11/2 cups water. Bring to a boil, then reduce to a simmer. 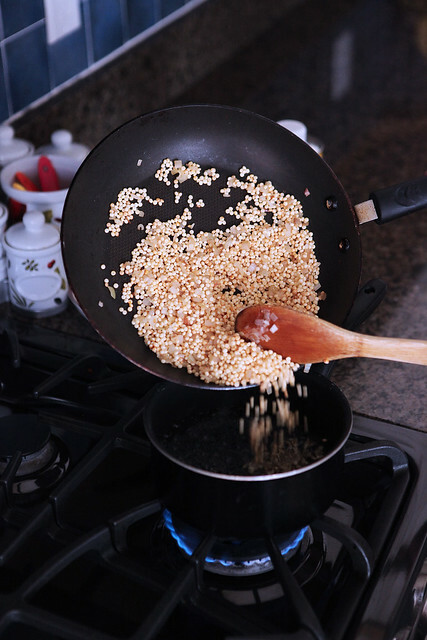 Cook couscous until al dente, 10-12 minutes. 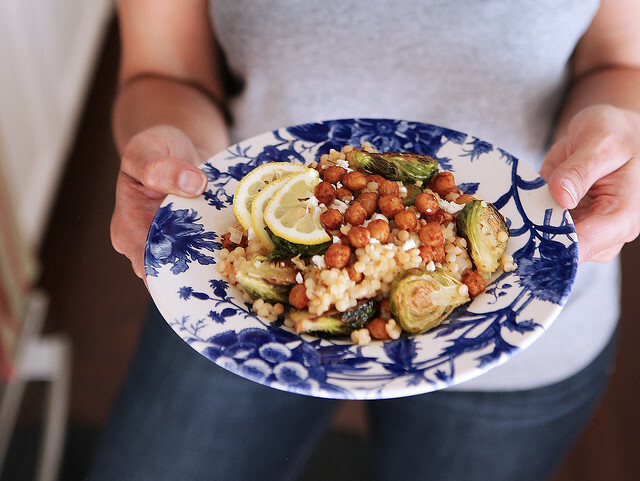 Add Brussel sprouts, half the feta, and a squeeze of lemon to pot with couscous and toss to continue. Season with salt and pepper. Divide couscous mixture between plates, then top with chickpeas. Sprinkle with remaining feta and serve with lemon wedges. This looks so yummy! I'll have to try this recipe, thanks for posting! OMG yum! 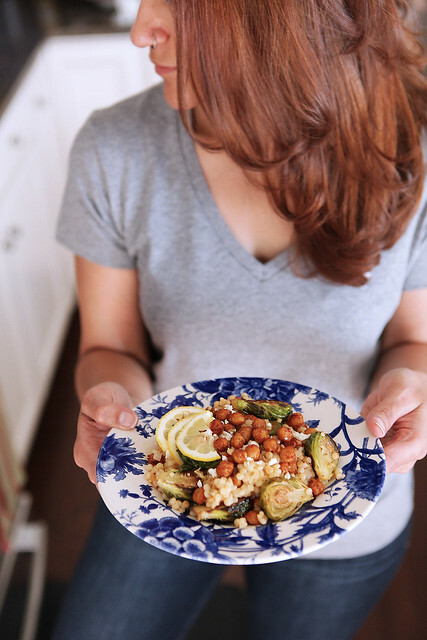 I love chickpeas, and roasted is definitely the best way to eat them. Actually it's a tie between hummus :) I need to try this recipe! Such an awesome recipe! I loveee roasted chickpeas - I eat them as a snack all the time. I need to out this main dish with them though! I know what I'm making for lunch tomorrow! This looks so yummy and tasty. Beautiful AND delicious salad right there! What a great dish! I've always loved brussel sprouts! I’m starting a new eating plan Monday and these need to be added to my rotation! This looks and sounds so delish. I love anything with feta! Oh my gosh this looks SO good! 100% making this, this weekend! Thank you for sharing gal! Wow. This looks amazing! I love Middle Eastern food! OK, this looks absolutely amazing!! I am going to try and make this over the weekend! Oh my goodness this is making my mouth water! All looks so delicious! This looks and sounds amazing!! I'm saving the recipe.